Rarely am I embarrassed while camping. I’ve been camping for 40 years off and on. Most recently in Utah but originally in Washington. Utah is a desert. Washington is closer to a rain forest. I got an eagle scout award in Washington. Although I haven’t camped there in years, I’ve ridden that bike enough, it’s second nature. This week we are on an extended vacation in Yellowstone area of Western Wyoming. My family is camping with two other families from Washington. We rolled into the campground Saturday afternoon and quickly set up camp. We have seven total tents set up. Saturday night around midnight a massive Rocky Mountain thunderstorm rolled through. The thunder felt incredibly close. The rain pounded on our tent all night. In the morning we awoke to a light drizzle and water inside the tents. But, not all the tents. 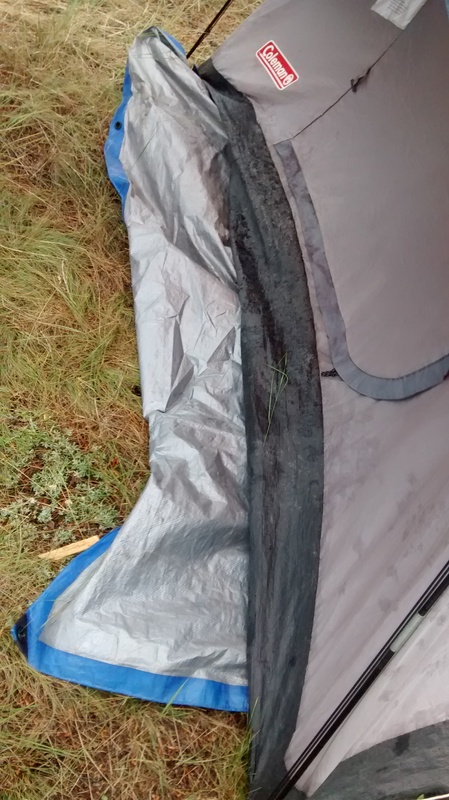 Just the folks from Utah had water in our tents.the Washington people barely even had damp tent walls. So, what happened? My nephew helped us dry out and move our tents. You didn’t stake your rain fly. But the biggest problem was your group cloth. What do you mean? They all had ground clothes. Yeah, but you didn’t tuck it underneath. I’ve never tucked the ground cloth under the tent. Ever. All those years growing up and camping in Washington I was doing it wrong. 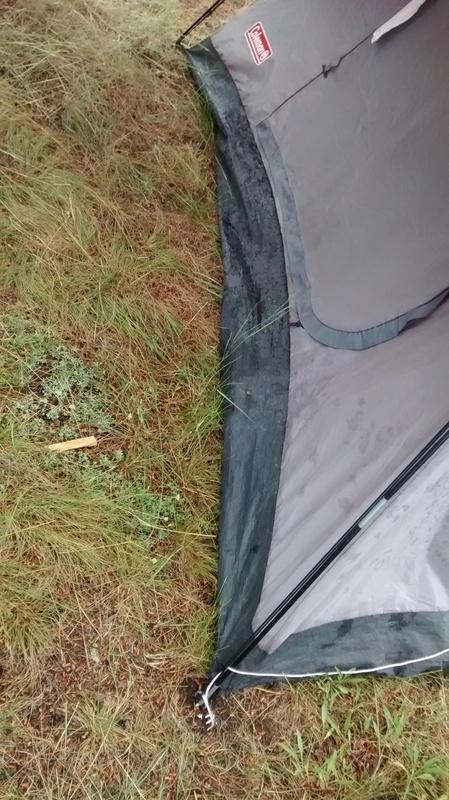 If you leave the edge of the ground cloth exposed, it will catch the water and channel it under your tent. Some of our tents had at least a gallon or two of water under the tent. I didn’t kown what to say. I could still ride that bike but someone just pointed out that it had gears. What have You been doing wrong for years? Never stop learning.